Whats potting in the garden is all about growing veggies. What's potting in the garden is all about growing veggies in a temperate climate; Hilton, South Africa, not Chicago, USA where I studied chiropractic for four long years, with a little respite in the Lombard gardens. Most veggies, straight from the garden, are so different. 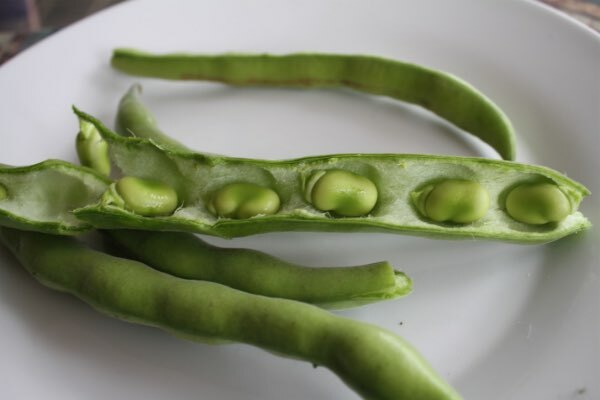 These fava beans, for example, any other way are starchy and nasty; they are the richest source of vegetable protein, and the only natural treatment for Parkinson's disease; it's all about the L-dopa. This page was last updated by Bernard Preston on 2 March, 2019. Yes, what's potting, of course, especially for a writer, but the web takes a dim view of the poor old apostrophe. Starting your own Eden is perhaps one of the most rewarding things you will ever do, not least because there are so many spin offs. Better health, that should read much improved physical condition, a stronger back, and a place to be quiet and meditate. I call ours, the Garden Cathedral. It's no coincidence that the first reports of mankind in the Bible are Adam and Eve walking with the Lord in Eden. Be still and know that I am God is challenging in our overly busy world; there's just too much going on. 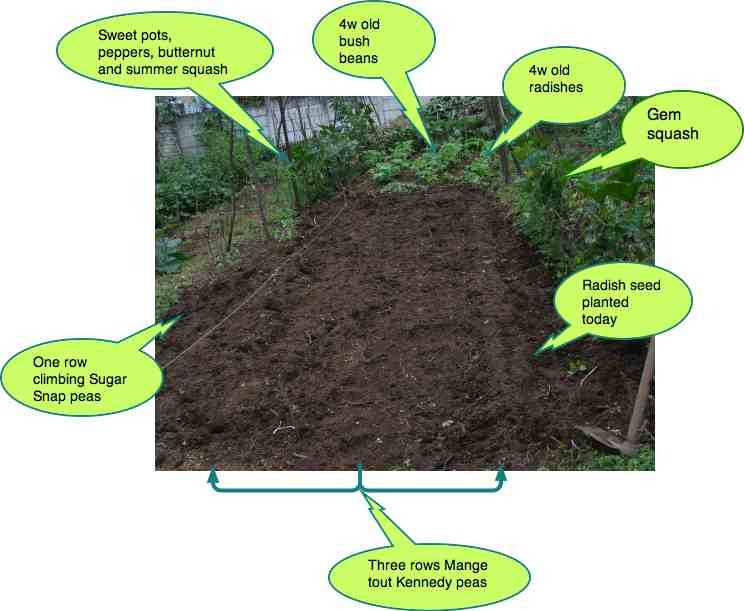 This page is about the vegetable garden. A weekly update on what's potting in the garden. I confess to little interest in growing flowers, except for my orchids; this is about my veggies. . They are one of the most rewarding hobbies of my life, and I'm convinced it's the reason why she who must be obeyed and I enjoy at 70 a life without medication. A little vegetable garden design is not a bad place to begin. How much space do you have? Three square metres? Then it has to be intensive, and there's no place for butternut, or sweet potatoes or corn. What's potting in the garden will be quite different for you and me. 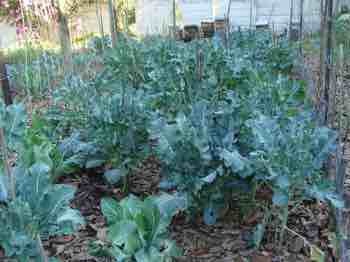 Think then of herbs and veggies that will give a huge yield from a tiny patch. Just three spinach plants will feed your family, and half a dozen lettuce seedlings will go on and on and on; pick a few leaves every day. 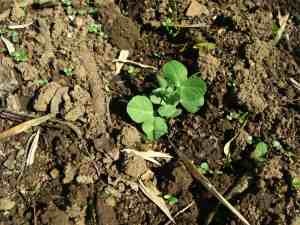 A row of radishes, ready in 3-4 weeks is a must, and six pole beans. 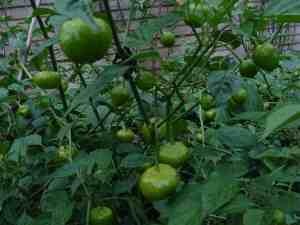 If you like it hot, then just one jalapeno plant will provide for your needs; we love the peppadew as well. Plant the rows north to south so they get maximum sun on both sides. If you are blessed with a larger garden, then a compost pile to deal with all the kitchen vegetable refuse, the grass mowings and all the leaves in fall to improve the garden soil quality. More about making a compost pile elsewhere; an there's nothing like the wonder of worm farms to improve your topsoil; optimal what's potting in the garden is a complex science but there are many simple things we can do. But I wouldn't start there, though it's vital later. Just turn the sod and get some seeds planted so you too can boast about what's potting in the garden. You also have to consider the availability of water; mains is just fine, if expensive, but then a rainwater harvesting model isn't cheap either. 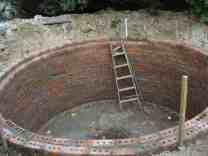 Besides the water there are other rainwater harvests to consider like rotting leaves. Pride of place in the summer garden surely goes to the summer squash, growing zucchini and nothing beats buttered gem squash in the dining room, for flavour and health. Mind you green beans give us the ability to reduce our reliance on animal protein, but ours took a hammering from three hail storms this summer. If you have corn in flower and lima beans then this quick succotash recipe is an old favourite; good healthy food that tastes wonderful. Don't for one second believe those who say it's fattening; both have a low glycemic index; they are turned very slowly into blood glucose and do not provoke an insulin storm; that's what makes us obese. However, if you have a significant weight problem, a glucometer is really of more use than a scale; knowing which foods make your blood sugar soar, and how you can manage it makes such a difference; you have a sense of control again of your life instead of those interminable diets that we all know don't work. For example, I was very disappointed to discover that the oranges grown in our own garden made my blood sugar soar; but if I took a stiff ten minute walk, the rise was quiet normal; that was liberating. Never drink OJ from a carton; it's junk of the highest order. Building a vegetable garden trellis so that we could practise crop rotation for our beans proved very simple. What's potting in the spring garden. 3rd March in the South, 3rd Sept in the north. A strange date to start perhaps, but it's where I am today. Late summer at what's potting in the garden. Start by getting out a hoe and clearing off the ground, and then a garden fork, turn the sod. Lower back exercises are important for us all, but especially for those indulging in what's potting in the garden; make preparation just as you would if going for a game of tennis or golf. I mentioned above that gardening is good for your back. And so it is... if you follow the rules. And one of them is that you begin your gardening day, every day really, with these simple exercises. Otherwise you'll be visiting your chiropractor tomorrow! So, I've just cleared this patch of weeds, added compost and turned the sod. 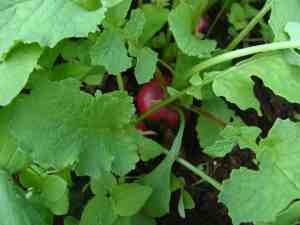 On the right this is how to grow radishes; I love them for their peppery taste in an otherwise perhaps bland salad. And they are so easy. Seeds will be up in about three days, and you can start munching them in about 3-4 weeks. Then, in the central three rows, something new for me. Mange Tout Kennedy peas. You don't need to shell them but we will have to be more patient: 8-10 weeks before reaping them. On the left, on the fence, a row of climbing Sugar Snap peas. You don't need to shell them either. We eat them, pod and all in a salad. So, what's potting in the garden? 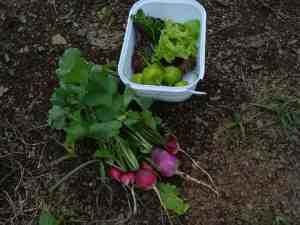 For a fuller page on the summer vegetable garden to indulge yourself here. Healthy choice foods are for those who indulge in what's potting in the garden. I'm really not sure whether it's my commitment to the chiropractic adjustment for spiffing good health, or plenty of outdoor exercise, good genes or the wonderful organic fruit and veg, but at nearly seventy neither she-who-must-be-obeyed or I take any drugs. Visits to the medical doctor and pharmacist occur less than once a year. Doesn't that make the effort worth while? I'm not boasting; it's just a fact. Combine exercise with good food and a regular chiropractic adjustment and with luck you too will enjoy sparkling good health. In late spring we planted sweet potatoes, peppers, butternut, summer squash, and gem squash that we are now enjoying. 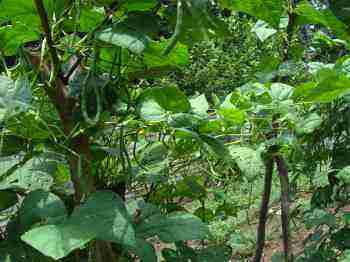 In midsummer, the bush beans and radish that you can see in the back ground are flourishing. These are the radish I picked for lunch today, together with lettuce and peppers, parsley and mint. It'll be a few weeks before we'll be enjoying green beans. 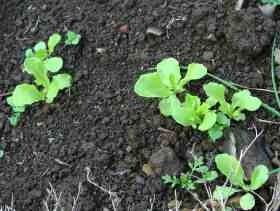 Then today, 3rd March (3rd September) I spent a few moments weeding my one-yard-row of lettuce. And picked the first four leaves for our lunch, so sweet. When I'm planning whats potting in the garden I try to think of how many different foods we can enjoy. 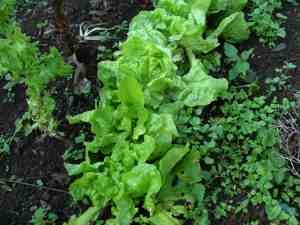 They look a bit lonely but form the base for creating a divine green salad; all those boasting of no-lettuce salads simply don't have access to fresh greens straight from the garden. I must confess they are dull from the supermarket. We'll be picking fresh lettuce leaves every day now, for at least two months. 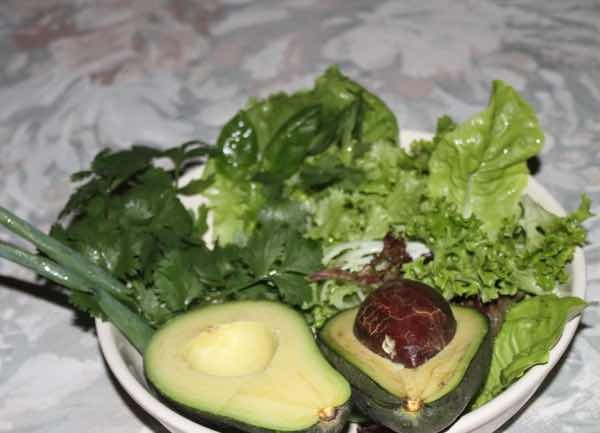 At growing lettuce you can get more details about how to grow this folic acid rich food that forms the base of creating a divine green salad. Then there are these delish peppadews. No salad can ever be described a dull with these sometimes fiery little peppers. After citrus, the richest source of vitamin C, by the way. They are obviously members of the chilli family of fruits. Two or three peppadew plants are enough by the way for the average family. It will take up about a square metre, and will look very pretty in the front flower garden too when they turn pillar box red. It needs to be staked as the branches get very heavy with an abundance of fruit. In Fall they will turn a beautiful bright red and we'll pickle those that survive our summer demand for salad peppers. They are a perennial and will perform just as well next year. She who must be obeyed has a fascination for them and will collect seed and replant anyway. Soon we'll be able to supply the local supermarket with fresh peppadew fruit. What's potting in the garden? Plenty is happening. 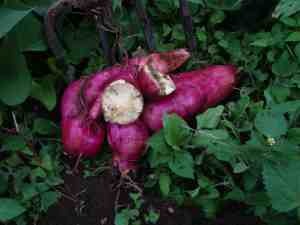 But the real delight of this day, 3 March (3 September) was poking my garden fork into the sweet potato patch. It's the first time we've grown them, one of our favourites in a sweet potato and butternut squash soup recipe ... and just look! What's potting in the spring garden has so many benefits. This is when you'll be wanting to know about how to plant potatoes; if you reap them by the way before the plant has died back, they are much less fattening; it has all to do with resistant starch. One of the less pleasant Spring activities, but very necessary, is sorting out the rainwater harvests; gutters, filters, tanks and reservoirs need to be cleaned. More about what's potting in the autumn veggie garden. And now to a hot solar power energy shower and a good lunch. One of my passions, as a sun worshiper, is to get maximum from Mr Golden Sun and that includes heated water and electrical energy for my computer and lights, and even the oven and dishwasher. With one exception, Bernard Preston is a sun worshipper. Every glider pilot and those who indulge in what's potting in the garden, if they have any sense, know that a good hat is mandatory. South Africa is the melanoma capital of the world. A steel gate design is simple if you have a welding machine; it enables you to create rotational grazing for the hens and protect your young seedlings. This Warren Buffett interview reminds again of the simplicity of life and a frugal way of going about things; the doyen of wealth emphasises the importance of saving each month; that means spending less on other things. Sunday lunch is a glorious affair, usually with a roast chicken, salads and homemade icecream with fresh mulberries or whatever's in season; most South Africans barbecue regularly, except the vegans, of course, and we're not the exception. It's a very real part of what's potting in the garden. But our red meat intake is really very low, and the processed stuff virtually zero; I'd rather keep bacon and salami for high and holy days and live to a healthy eighty with my prostate intact! The urologist just phoned to tell me my PSA is 0.9; he couldn't believe it. Just one of the many blessings that come to those who make the time to potter in the garden. So, now the lettuce and radish have been cleaned and washed. We carve out the peppadew pips, they get you coming and going!, and I've added other green salads; what my grandchildren call "Ba's weeds." Parsley, mint, and rocket. If we're having guests I'll turn the parsley and mint into one of my favourite side dishes, tabbouleh bulgar wheat but today it's just the salads and a slice of thick homemade bread. Yes, if you eat lunches like this, a thick smear of butter is allowed, and your cholesterol will still be dangerously low! I refuse to eat margarine, it tastes terrible and all hydrogenated foods are indeed terrible. Avoid them if you desire to live long in the land. It's all about phytosterols, those substances that prevent cancer. Had your five colours today? I try for ten. Malignancies are big in my family and I'm out to prevent it. It's a big part of the motivation of what's potting in the garden. 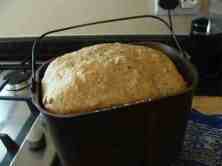 And of course the soluble fibre that keeps us regular. Constipation and large bowel cancer go hand in hand. It's agreed by all that olive oil benefits reign supreme, with the possible exception of fatty fish. We endeavor to enjoy both. Folk often ask me if I, Bernard Preston, chiropractor, am a vegetarian. Absolutely not, but with all the lovely people, good folk in my family who have died too young, I'm passionate about enjoying my grandchildren growing up and sitting under those trees that I once planted, and that means plenty of vegetables, salads, fruit and nuts in the diet. And not smoking; that killed both my parents ten years before their time. Stop smoking permanently is the only way to save your blood vessels from an early catastrophe. Tonight we have rump steak on the BBQ planned. For lunch it was feta cheese and hummus for protein. Animal protein max once per day remember, perhaps even less. Today is Sunday so we indulge a little, cheese and red meat. We may rue it one day. Together with a large sample from what's potting in the garden, and we'll be fine, I reason. In April (October), the soil temperatures will be too low to germinate many seeds, and my attention will be turned to my bees. 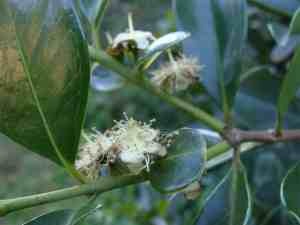 The eucalypt honeyflow is about to start and May, June, July will be taken up with harvesting the honey. Rome wasn't built in a day and nor were Achen and Cologne as we say in Holland; if you love to travel make sure you see all three; beautiful cities. 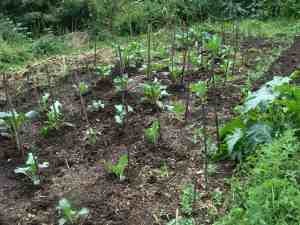 Don't be discouraged by the richness of our vegetable patch. It's two and half years since we starting indulging in what's potting in the garden, and I have to admit that because we have so much space that the design is a bit haphazard. But you will have to choose; couch potato or sweet potato? Gardening does take time, and that may mean turning off the telly and foregoing the odd game of golf. I forewent gliding yesterday so I could build our first worm farm. For the time being my gliding is on the back burner... yes, I'm missing it! But until the garden layout is complete and in some sort of order other hobbies have had to take a backseat. What's potting in your garden? Get a few seeds in this weekend. You'll notice that I'm not afraid to show the weeds. This isn't Windsor Castle with three professional gardeners and ten serfs. But I can guarantee, the Queen of England doesn't eat more healthily that we do! But not less healthily either I suspect; she's lived to a ripe old age; how I miss the Scottish salmon we enjoyed in Holland. And now a new day has dawned, and I must prepare for the first chiropractic patient. She had an acute sprung rib last week after a shower of sneezes. I wonder how she's doing. It's one of the favourite conditions that I treat, but one does have to take care not to crack a rib! 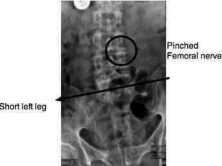 It's called Chiropractic Iatrogenic Illness ... doctor-caused disease. It happens in chiropractic too. This large pin oak came down in an autumn gale. Preparing the timber for the hearth was made a lot simpler with a simple piece of homemade firewood processing equipment. The autumn season is late for planting seed, but we've just slipped in a couple rows of radish and lettuce, and I'm going to add a row of winter peas tomorrow. It's the season of mellow fruitfulness, of reaping. For a lot more detail turn to what's potting in the autumn garden. There's a tale in our family that on returning from church, our grandmother put her new hat on the table and went in to make Sunday morning tea. On returning with the tray, the hat had vanished. 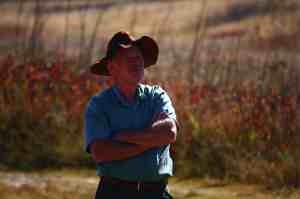 Finally, my grandfather appeared from the garden, hat in hand, filled with green beans! 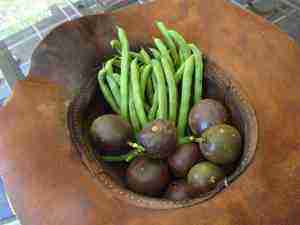 My wife doesn't wear pretty hats, so I used my own leather gliding hat of many years for a receptacle for my green beans and granadillas. Green beans salad for lunch, so simple. 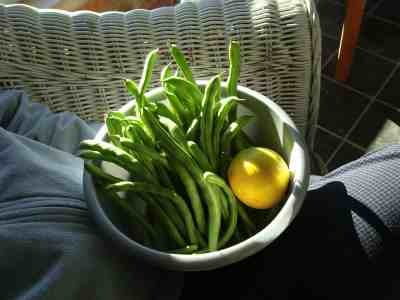 Blanche the beans, olive oil, lemon juice, salt and chopped spring onion and clove or garlic. Winter broccoli are doing great, summer squash on the right nearly over, but we're still enjoying the last of them. Zucchinis. Not really visible a couple rows of winter peas are fine. We'll be eating broccoli and peas in about 6 weeks. 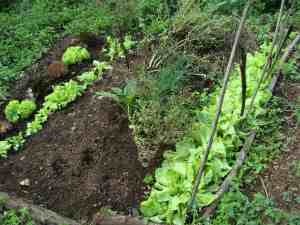 Garden soil, deep, healthy, composted and well irrigated is what it's about. You can spend a lot of money improving the quality of your garden soil; it's vital if you want healthy plants. 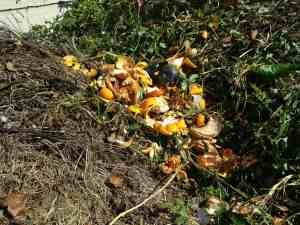 But why not rather starting collecting the raw kitchen waste and garden refuse and make a compost pile? They tend to be a bit untidy, but if well aerated they don't smell at all. 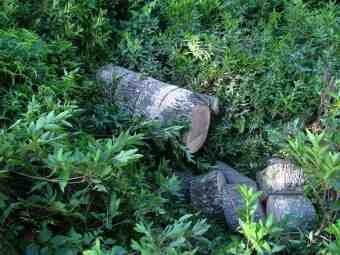 Quite the contrary; the gentle scent of organic matter that is breaking down is part and parcel of the healthy garden. These lettuces going on providing fresh greens for months. We're about to start a chicken tractor design, if the bees will permit, and that I know will contribute greatly to the quality of our garden soil. Another big upgrade is getting into the wonder of worm farms. It's all about getting your garden soil ready for the year ahead. 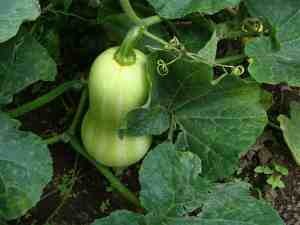 The organic butternut, or winter squash, are bulking up nicely. The vervets have ruined a few, just one bite and then chuck it down! Damn, this week I'm going to buy a paintball gun! The paintball gun has been a great success; it doesn't kill or maim, but the vervets now know to give us a wide berth. I get so many letters at Chiropractic-Help.com from folk complaining of the side effects of statins. Tingling in arms and legs, erectile dysfunction, kidney failure ... just enjoy a lunch like this most days, and I can promise you won't be needing Zocor to lower your cholesterol. What's potting in the doctor means being a lot stronger and able to enjoy your butter and cheese without guilt; I guarantee your levels will be well within the norm; organic butternut is a great way to ring in the changes. The corn in flower in midsummer also means we will soon be in for another cholesterol-lowering feast. Straight from the garden to the pot is a treat that only a few can enjoy; elbows on the table we love them daily for three months, and never put on weight. It's all about the context of the whole meal. 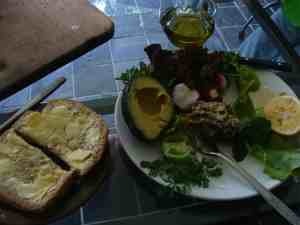 Missing today is our homemade hummus, and the hass avocados alas are over from the moment. 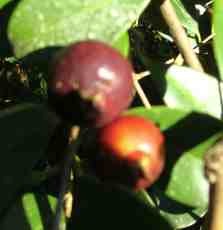 The fuerte are almost ripe. Enjoy butter, cheese, a slice of ham occasionally... with no cholesterol worries! Firstly, one of the world's most invasive species in a tropical climate, is a pure gem in our subtropical South Africa. The Cherry guava makes the most divine jelly you've ever tasted. Slightly tart for many with a sweet tooth, but right now my breakfast begins with 10 little guavas straight from the tree. One of the big advantages is that it goes on fruiting for months. 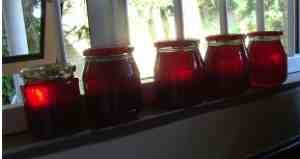 Right now we have mature fruit, and she-who-must-be-obeyed has made the first bottles of jelly. But at the same time, there are masses of flowers... we'll be eating them for months. Legumes are where I part company with those who advocate banting; that's similar to the paleo diet; high fat and low carbohydrate, so no chickpeas or broad beans are allowed. 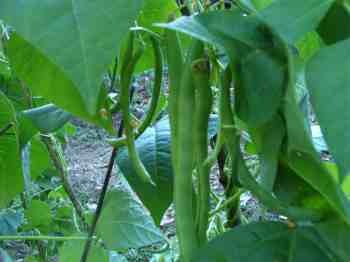 Pole beans and peas, and in fact all legumes, remain very high on our agenda. Anyone who loves red meat, absolutely must feast on their greens too. And if you want to reduce your reliance on animal protein, beans and peas are one excellent, delish way to do it. The beans are frost sensitive, and will soon alas come to an end. 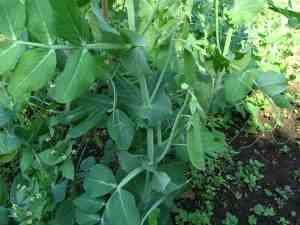 But the peas and broad beans grow far better in our mild winters. Don't grow them in a Chicago winter though! I've just planted another 50 odd pea seeds; they will grow very slowly through the winter, but we'll be loving them in the Spring; in fact they went right through to the end of October. Can you now answer the question what are legumes? 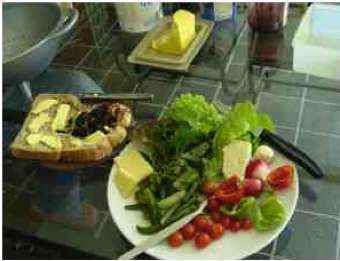 The modified Banting diet includes legumes without restriction except perhaps for those who are diabetic. Until May then... meantime my work force is busy as you can see, and I'll certainly have some sweet honey to report on. Oddly, the main honeyflow is in winter in South Africa. Putting out honey bee traps at the beginning of the flow is the easiest way to expand your apiary; that's when swarming occurs. Oh, over and above my workforce, I have another sales team out there. Have you met them? These two are out in the field, and three more are in training! Stones in my Clog is only $2.99 and The Bostonians only 99c. Do sample, only on your Kindle, tablet or smartphone. The doorbell rang and Mrs Thomas sprang to her feet and strode out of their formal lounge, her high heels click-clacking over the tiles in the hallway. Left to his own devices Scott struggled to his feet out of the deep rocker and shuffled off to his study. Ridiculous, ha! Well, they’ll have to drag me out. Sandra Thomas thought it the most exciting thing that had happened to them in months. Their lives were pretty humdrum now, what with Peter being so busy with his school stuff, and so morose during the holidays. It was a pity about that lovely girl Gill. I wonder what became of her? she thought, gazing through the peephole. One olive-green eye glittered into another olive-green eye only centimetres away. 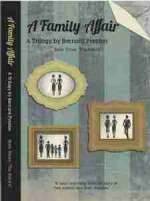 Both women sprang back involuntarily, backing away from the heavy wooden front door. Mrs Thomas took a minute to recover and then swung open the door with a flourish. A young woman dressed in a casual beige suit with subtle white stripes, accented with a gold scarf, stood well back, flushed. Her dark glasses sat up on her blonde hair, and she was nervously flicking her hair behind her ears. Mrs Thomas approved. She’s got style. ‘Mrs Thomas? I’m June Twycross. It’s so nice of you to do this interview,’ said June stiffly, gaping at Peter’s mother. Her first thought was of a tiny doll, dressed in black lace, her hair completely white, but looking elegant rather than elderly. Actually, she was beautiful. It came as a surprise to June who had never considered that elderly women could be beautiful. A smoky yellow cairngorm perched on a grouse’s claw glowed on her grandmother’s lapel in the afternoon sunlight. I'm rather hoping the editing of the The Return will be done by May. Meantime, make a start with The Bostonians, Book I.
Update: Yes, the editing of the The Return is complete, and all three books from the trilogy are now available on Amazon. Only 99c each, the proceeds to a charity. Buy it now! Unputdownable! And now Priests Denied is half done. The first harvest from the bee hives in early winter proved just as good as expected. The name of the game is not just to produce honey from your backyard, but more especially Raw Honey which is an entirely different food from that which you buy in the shops. Perfect in your oats in the morning, or on bread and butter sandwiches. If you have a cholesterol problem, then rolled oats should be on the menu EVERY day. It's the champion of foods that lower cholesterol and with a teaspoon of honey, a few raisins, three pecan nuts and some yoghurt it makes the perfect delicious breakfast. Quaker oats recipes are a joy but the flagship is an oats breakfast if you're into healthy food made fast. Half a cup of water and one minute in the microwave. It's a quarter of the price of packaged cereals and certainly more nutritious and tastier; with that raw honey and pecan nutrition you have a winner. There is a proviso; refined oats has much of the germ and bran removed; that makes it fattening. Look very carefully at the contents of that 'healthy' breakfast cereal; is it largely broken biscuit bits? The diabetic needs to test his blood glucose after every starchy meal. in a world where children seem to think that milk comes from a bottle and oranges in cartons from the supermarket, having my grandchildren, only 4 and 6, the next generation of beekeepers?, help bottle the honey was such a joy. Get them away from that damn telly and grasp that living life is lot more fun that watching others have fun. Now that oats goes down with no problem in the morning. So, whats potting in the garden this month. It's getting cold, so the last of the seeds are in. The lettuce are a gamble and may be bitter, but the peas assure us of legumes in the spring. Whilst I too love my red meat, there's heaps of evidence that vegetable protein is vital if we want to reach that magic eighty without cancer. It's all about more greens too. What is kale good for seeing that it has minimal flavour? 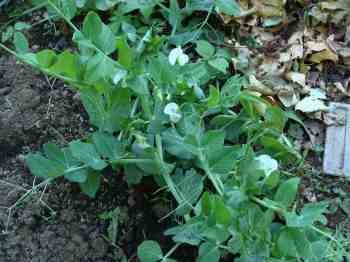 Meantime, those peas we planted ten weeks ago are fruiting and are so delic raw in a salad. The grand kids pick them and eat them straight in the garden. We're experimenting with all the leaves that are falling for a mulch and to keep the weeds down. They threaten here to get ahead of me... then the lower leaves go yuk! 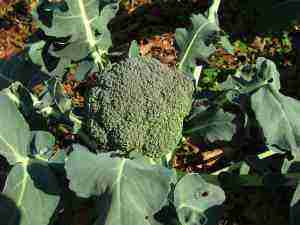 And of course, the evergreen broccoli, number one of the anti cancer foods. Here we have two kinds, the normal that forms a beautiful head and below several rows of the branching type for our broccoli soup, one of the favourites in this home. Use a chicken bones bouillon to beef it up, eh, chicken it up! Read the research from Harvard what the chicken bones extract does for arthritis. A row of shelling peas on the left, beehives in the background. 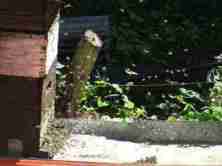 I can only garden here in the very late afternoon, African bees are dangerous when aroused. Interesting the vervet monkeys won't raid this garden either. 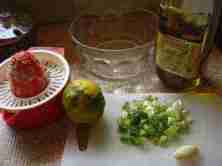 I've got a heap of photos of the last of the summer squash, passion fruit, limes, spring onions, but I won't bore you. And of course we're still reaping sweet potatoes and butternut. This lime fruit tree is a new experiment. My brother is trying to convince me that a lime beats a lemon hands down. We'll see, in a month or two. 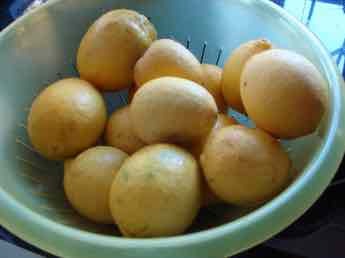 We have three lemon trees, the Meyer my favourite, on my salad every day along with hummus and olive oil. Arthritis? She who must be obeyed swears by the fresh lemon juice and hot water she enjoys every morning. It's the winter solstice; what's potting in the winter garden? Making a compost pile is at the heart of any organic garden; they don't smell oddly if you put only raw matter in. Any cooked leftovers go to the worm farm. Till next month then. The midwinter garden. Meantime, make sure you've bought yourself a treat, a Kindle, and of course download a Bernard Preston book! 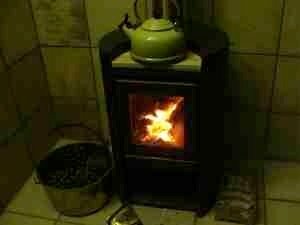 Woodstoves are a gem; yes, they do leave a carbon footprint but less than a coal-fired powerstation I suspect when it comes to warming the home. This tiny woodstove keeps the Gardeners' Cottage warm right through the winter. My chainsaw has been busy, it's all part of what's potting in the garden, and the sawdust from the thicknesser in my carpentry shed produces a mountain of shavings that are too acid for the garden, but perfect for lighting the stove. The design is clean burning to generate a minimum of smoke. The chimney runs up through the ceiling and our bedroom above; it's just perfect. Okay, I'll admit it. Bernard Preston has become something of a health nut. For me, leaving a healthy planet for my grandchildren is big in my psyche. Eating healthily, too, enjoying life at full speed, and growing organic foods; in short, doing everything in my power not to get the big C, and taking no drugs. Yes, three months ago I did seriously injure my own back lifting a very heavy patient and suffered a serious Femoral nerve damage, came very close to the knife, but there again, chiropractic, common sense and lower back exercises saved the day. I did take some anti inflammatory drugs for a limited period, as the pain in the leg at night was so severe. But, as a general rule, neither my wife nor I take any medication. It's just one of the many benefits of being a healthy nut. Now, it's only one small step to go from health nut to Health Nut Neurosis ... but they are in reality world's apart. What's potting in the garden is a step by step process; Rome wasn't built in a day and nor is the spectacular veggie patch. 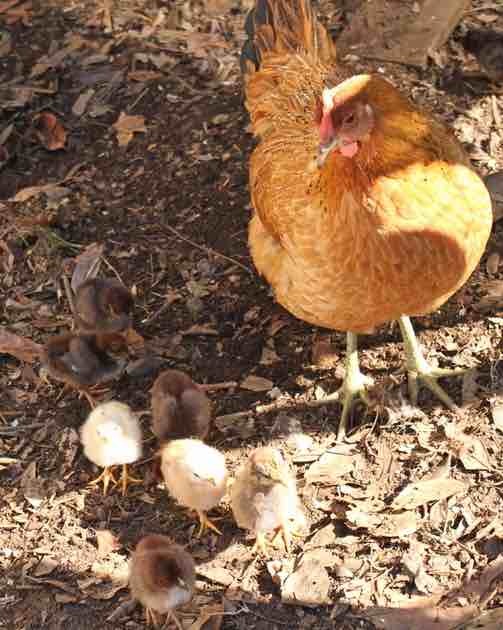 After many years we've got into the wonder of worm farms, to better dispose of kitchen waste, create an organic plant fertilizer, and creepie crawlies to feed the hens. Perhaps more important it is the only effective way to replace and restore all the minerals and chemicals to the soil that we need to from our food; the only alternative is to take bucketloads of supplements. A day in the life of chiropractor Bernard Preston in Holland. Warren Buffett interview - as a teenager his first major purchase was a small farm; he too knows about what's potting in the garden. What's potting in the garden? 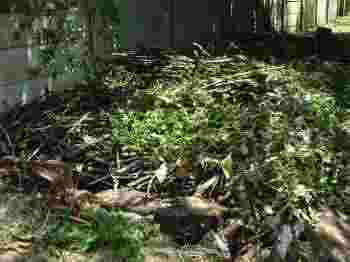 A compost heap to enrich your garden soil. Only the top few inches are suitable for a healthy vegetable garden and world over that's getting thinner by the day. Below, it's inert, compact clay, sand and stone. If you're planning on starting a garden, then at least plan on a compact compost tumbler and if you have the space composting with sticks. Use up all those vegetable and fruit peels from the kitchen to improve the quality of your garden soil. Nothing cooked though. The bugs have been killed by boiling, and it just rots, and may stink. Cooked kitchen waste can only go to a worm farm, dogs and even the chickens. Contrary to popular belief, well aerated compost piles and tumblers have virtually no odour. Up close, just the healthy smell of composting going on as millions of tiny creatures feed on your peels. No cooked food if you are starting a compost pile. I have a large garden and five compost heaps brewing. Rotting sticks and vegetable matter make perfect compost for your compost pile. 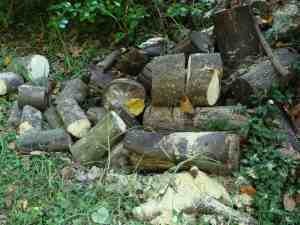 Grass cuttings and kitchen waste take 3-4 months, sticks like these 2-3 years. Don't send them to the dump. Compost them. Learning different skills is one of the vast benefits of what's potting in the garden. 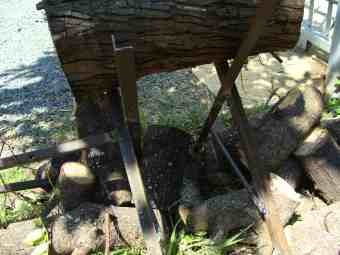 For example, I taught myself to weld; it's not rocket science. This steel gate design has saved me a mint at our home; likewise erecting a vegetable garden fence. Bernard Preston » Whats potting in the garden?